Ok where did January go? Who ate him? and can it please be winter already?? For the past two months I've done nothing but complain and whinge about the weather. It's been sooo hot, muggy, sticky, stifling, hot, hair frizzingly awful, sweaty, coffee must now always contain ice, hot and have I said sticky yet? 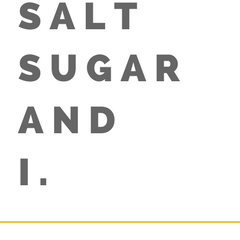 I wrote an entire post (then deleted it) about how I hate the hot weather and cooking in it. BORING! So instead dreaming of our Sydney summer away which I have a tendency to do (right now Victoria and Tasmania are looking like a lovely place for a sea change) I thought I'd share a recipe that does not require an oven, great to share and so delicious that it'll change they way you eat chicken meatballs forever, or at least in 2017. Green Chicken Meatballs from Bon Appetempt/Amelia and Teddy in the Kitchen. These little morsels are so delicious and fresh, they are exactly what you crave in a meatball when it's hot and you want something light but still full of flavour. They use blitzed up chicken thighs instead of chicken mince so you don't get that loafy texture which means you can make them as chunky or fine as you like but also they don't have any additional bread crumbs in to stodgy them up, keeping them delicate. But it's the parsley, onion and parmesan that really make them delicious and summery and to be honest, completely moorish. I cooked these in a frying pan and served them with a tomato pasta sauce and brown rice but these would be great by themselves or even as chicken patties on the BBQ with a salad, just be wary they are on the soft side and until sealed feel like they might fall apart on you. If you're only going to make one meatball in 2017, make these them. You will thank me (and Amelia) for the advice - they are seriously good green chicken meatballs. What's your go-to summer recipe for when it's too hot to eat but you can't curb your appetite for home cooking? Cut the chicken thighs into 2cm chunks and place them on a plate in the freezer for about 30 minutes, give or take. Place the parmesan, parsley and onion in the food processor and blitz until everything is finely chopped. Add the egg, chicken, salt and pepper, and continue to blitz until the chicken is coarsely ground — not as fine as chicken mince as you don’t want chicken much, but until everything is about ½ a cm roughly. Using a large heaped tablespoon as a guide, shape into approx. one-inch meatballs. In a large non-stick frying pan heat the olive oil over medium heat. One by one, dredge the meatballs in the flour and add to the hot oil. Cook until brown on all over, turning as necessary for about 15 to 20 minutes. When the meatballs are almost cooked, heat up the tomato pasta sauce ready to serve. 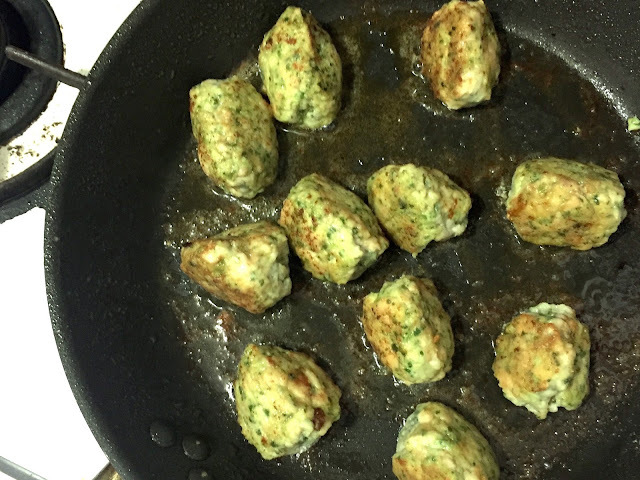 Serve these Green Chicken Meatballs with the tomato pasta sauce and a crunchy side salad/ brown rice/ pasta. Heat the olive oil over medium heat in a small saucepan, add your onion, garlic and a pinch of salt and fry until onions are translucent and fragrant. Add your splash (or two) of wine, let it bubble for a couple of minutes then add your canned tomatoes and sugar. Bring to a simmer and let bubble away for about 10 to 15 minutes. Taste and season with salt, pepper and fresh herbs.